​I have been an admirer of Gaye Adegbalola since a friend introduced me to Saffire - The Uppity Blues Women over a decade back. I had always hoped to see the trio perform in the UK but it was never to be as they went their separate ways a few years back and then super pianist Anne Rabson left us so any hopes of a reunion were quashed. It is a personal delight to hear Gaye maintaining the sassy gender politics of Saffire in her solo career. Maybe the track 'I Know You Wanna Change (But Yo' Momma Won't Let You)' sort of exemplifies the disdain with which she regards we mere men and this is a constant theme as she challenges relationships. She uses her wry sense of humour to make her (scalpel sharp) points and takes no prisoners. The title track sets us off by posing a question to a long-term partner, detailing the flaws her body has developed over the years but needing reassurance that 'it's still good to ya'. The percussions and harmonies on this CD are at times very unusual - Doo Wop to Gospel and who knows what else? - and this alone would make it quite unique. But it's Gaye's lyrics and their delivery which makes this album so darned great. ​The appeal of Blues music generally is its ability to evolve and to offer a vehicle for different performers to claim their own territory within this very wide-ranging genre. 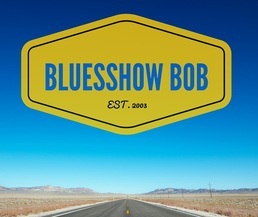 This is the background to our regular 'Track the Track' feature on the Blues Show where we listen to three different takes on the same song to see how different performers interpret a particular song whilst also recognising the evolution of instruments and amplification which has taken place from the earliest to most recent recordings. This brings us to Blues Karloff. Claiming to be rooted in the British Blues-Rock boom of the 60's and early 70's, this high energy ensemble have selected eight well-known standards and given them a truly appealing update. I would add the phrase 'almost punk' to their description as it throws conventions to one side whilst stamping their very personal branding onto the product. The CD has lots of overdriven guitar playing off a really solid rhythm section - with drums noticeably at the forefront - as they present their own takes on the likes of 'I Ain't Superstitious' , All Over Now' and 'Evil'. Leading from the front in every way is vocalist Alfie Falckenbach who has an eclectic delivery which, in my view, works superbly. The CD also includes five of their own compositions and marks an increasing confidence within the band. In truth, I found their earlier CD offering 'Ready For Judgement Day' (also on Blues Boulevard) a little too 'different' for my tastes but I'm now revisiting and enjoying this too - maybe as a result of having now 'got it'. Just what qualifies these two guys to call themselves 'Genuine Blues Legends'? Well, they both played in Muddy Water's Band at some point; admittedly not at the same time but they played their part in taking the Blues music of the Delta, reshaping it and creating the Chicago Blues sound. This album is a recording of a live show they played whilst touring with Mike Markowitz (Little Mike) who had the foresight to ensure that the very special moment was captured for future generations. Both Pinetop and Jimmy have left us now, of course, but the CD serves to remind us what amazing talents these legendary bluesmen had and how this influenced later artists. The songs on the album will be well known to most and serve to highlight the effortless abilities of people at the top of their game. These performers had lost none of their fire and were clearly enjoying the experience of 'jamming' together. Being a live recording, there are a couple of occasions where the mix might lose a little in quality but as a piece of genuine Blues history, performed by genuine Blues legends, this just adds to the charm and very appeal of this excellent collection. Good, Bad or Ugly, my views!